Also worth noting, if you haven’t done so already, install Service Pack 1 http://support2.microsoft.com/kb/2880556 first if installing the April 2017 CU on 2013. 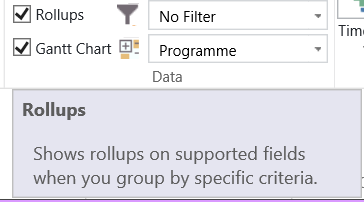 Just a quick post to highlight that the issue with setting the credentials for a Project Online OData connection that contained the  for localisation is now fixed in the Power BI Service. If your OData URL contained the  to specify the OData localisation you couldn’t set the credentials in the Power BI Service for the data refresh, you would see the error below. A new announcement on the Office blog today detailed some changes to Microsoft Office 365 PPM tool, Project Online. It will be possible to create and manager up to 30,000 projects. This is a great news as the 5,000 limit was an issue for some organisations. What is also coming is the ability to have a project site for each project, the limit previously was 2,000 project sites. This is achieved by setting the site collection to host the project sites per EPT as the limit per site collection is 2,000 sites. Be aware though, with the new solution the user sync and task list sync is only supported for Project Sites that exist in the same site collection as the PWA site. There are also some new options in the project center to improve the performance for page load times when you have lots of projects by turning off the data roll up and Gantt charts.